The object is simplicity. This John Deere Bureaucracy-Free Procurement ad is a fun take on the simplicity of purchasing a John Deere product. 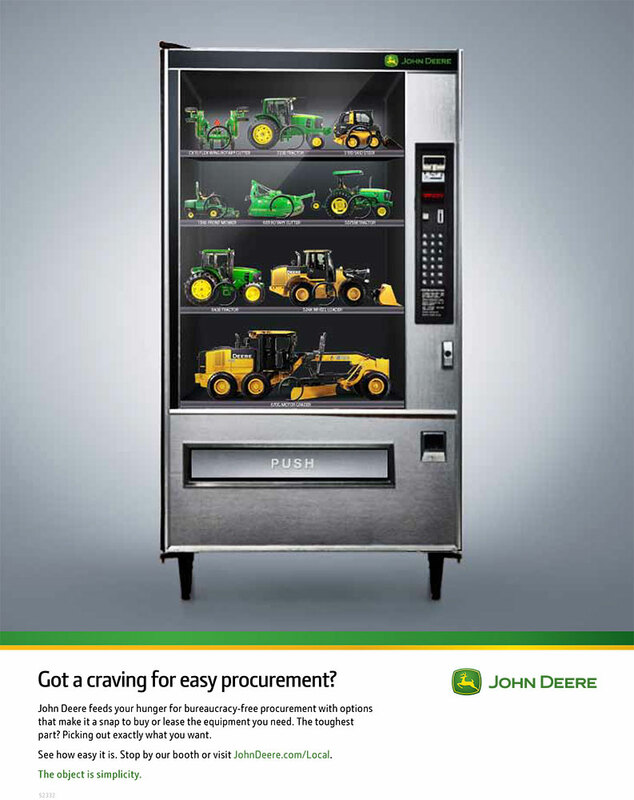 The symbolism and wit featured in this ad help convey to potential buyers that buying a John Deere product is as simple as buying something from a vending machine; no red tape, no mountains of paperwork, no extra fees. The imagery gets the point across straightaway, and the supporting typography underneath gives further information without taking away from the focal point of the ad. Generate Design has created a fun solution to promote the benefits of buying a John Deere product.